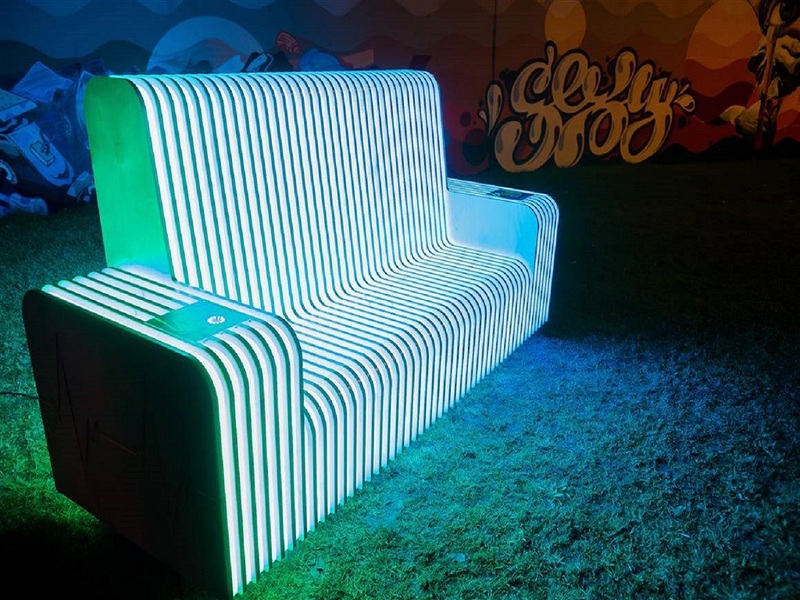 The high-tech bench of Fontys students with more than 11,000 lights already seen at Glow, now goes to a light festival in London. The special project ‘Vera Lumen’ was created by students from Fontys Engineering. During the Eindhoven Light Festival Glow it attracted a lot of interest, but now the bench goes to Winter Lights in London. In the wooden bench, sensors are placed in the armrests to measure your heart rate. The heartbeat is converted into a light spectacle. Your visual heartbeat runs into that of your bench mate. Winter Lights takes place in Canary Wharf in London’s Tower Hamlets district. It is a light festival with interactive artworks. The festival takes place from 15 to 26 January.